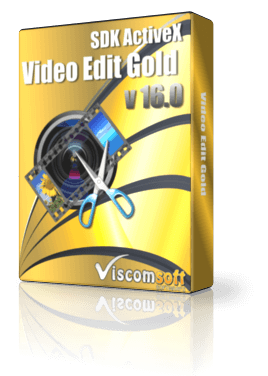 For Windows Developers who need to rip DVD to video file with C++ , C#, VB.net , VB, Delphi, VFP, Access. Rip home video DVD to rmvb, avi , wmv, psp, mpeg1, mpeg2, vcd, svcd, dvd, flv, 3gp. 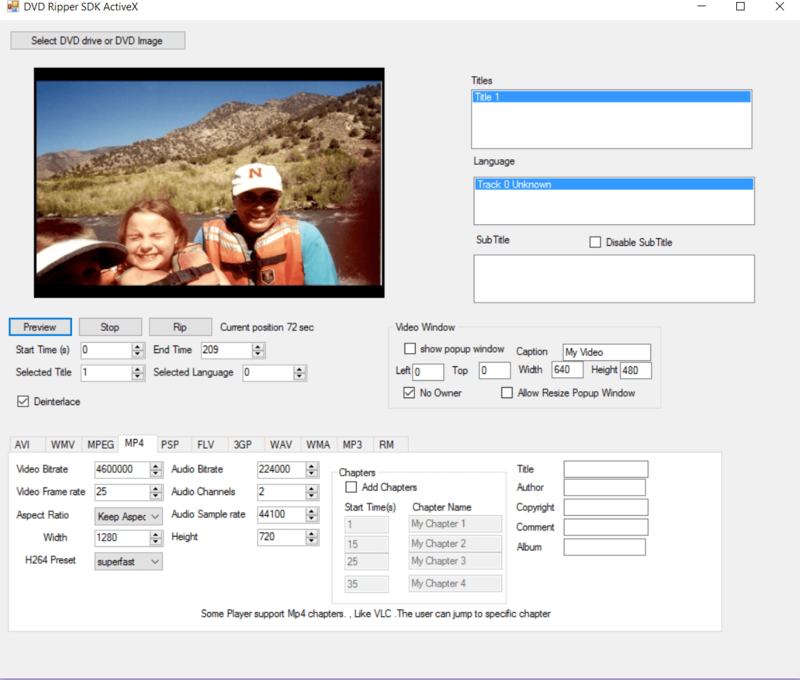 Select language track for preview or convert to different video formats. Select subtitle for specific title. Add Chapters when save to H264 MP4 video. Include c# 2005, c# 2010, c# 2015, Delphi, VB6, VB.Net 2003, Vb.Net 2010, Vb.Net 2015,VC Sample Code. redesign MP4 encoder, it support control aspect ratio, adjust H264 preset, decrease the ripping time. added support add chapters when output MP4 video.